Matt Cardle performing in Belfast, April 2014. Matthew Sheridan Cardle (born 15 April 1983)  is an English singer, songwriter and musician. Cardle was born in Southampton, England and grew up in Halstead, Essex, England. Cardle has been involved in music since his early teens and has been a member of two different bands; Darwyn and Seven Summers, with whom he experienced limited success. Cardle rose to fame after winning the seventh series of The X Factor , and received a £1 million recording contract with Syco Music and later signed a deal with Columbia Records. Halstead is a town and civil parish in the Braintree District of Essex in England. It has a population of 11,906. 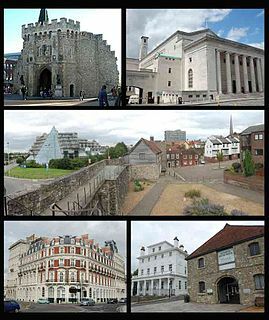 The town lies near Colchester and Sudbury, in the Colne Valley. It initially developed on the hill to the north of the river. The name Halstead is said to derive from the Old English hald and stede, meaning "healthy farm", "safe place" or "place of refuge". The Irish Singles Chart is Ireland's music industry standard singles popularity chart issued weekly by the Irish Recorded Music Association (IRMA) and compiled on their behalf by The Official Charts Company. Chart rankings are based on sales, which are compiled through over-the-counter retail data captured electronically each day from retailers' EPOS systems. Currently, all major record shops, digital retailers and streaming services contribute to the chart, accounting for over 95% of the market. 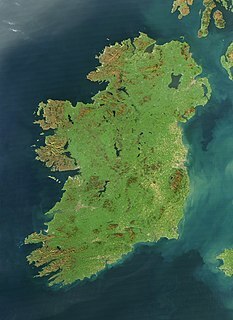 A new chart is compiled and officially released to the public by the Irish Recorded Music Association on Friday at noon. Each chart is dated with the "week-ending" date of the previous Thursday. The singles chart was first published on 1 October 1962, and covered the top ten singles of the previous week by record label shipments. "Run for Your Life" was the follow-up single released by Cardle which charted at number 6 on the UK Singles Chart. Cardle went on to release his debut album, Letters , in 2011, which debuted at number-two on the UK Albums Chart and the Irish Albums Chart. The album saw two more singles released, "Starlight" and "Amazing". Cardle then parted ways with record labels Syco Music and Columbia Records, and signed a recording contract with So What Recordings in early 2012. He released his second studio album, The Fire , which charted at number 8 on the UK Albums Chart. In October 2013, Cardle released his third album, Porcelain , in association with Absolute Marketing as an independent release. It reached number 11 on the UK Albums Chart. The lead single was a duet with Melanie C, called "Loving You", which was released on 18 August and reached number 14 on the UK Singles Chart. "Run for Your Life" is a song by the British singer-songwriter Matt Cardle. It was released on 9 October 2011 as the lead single from his first studio album, Letters (2011). The song was written and produced by Gary Barlow, and was the last song that Cardle recorded for the album. It reached number 6 on the UK Singles Chart. 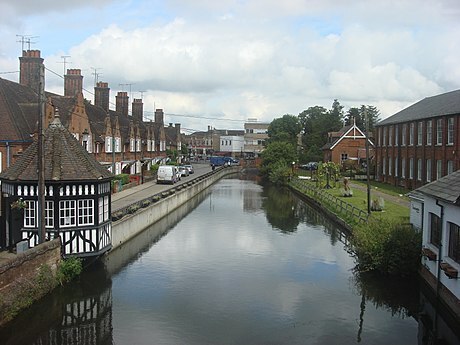 Cardle was raised in Halstead, Essex. Stoke College in Stoke-by-Clare, near Haverhill, Suffolk is a co-educational day school for children aged 3 to 18, with boarding for children aged 9 to 18. It is built on the site of a major medieval monastic college. Darwyn was an alternative rock and acoustic band from Essex. 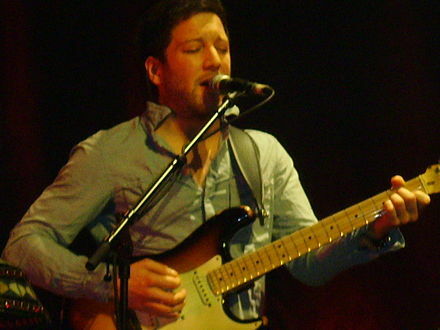 The band featured Matt Cardle as the lead singer and acoustic guitar player. Matt Cardle went on to become the winner of the seventh series of The X Factor The other Darwyn members were; Ali McMillan on drums and percussion and Richard Grace on piano. The band members met at Lights Music Action and formed Darwyn in 2005. In 2009, Cardle became the lead singer and guitarist of rock band called Seven Summers. The band performed live on Sue Marchant's BBC radio program, in December 2009. They released their self-titled album in January 2010. The album featured alternative rock, pop, urban and folk influences. The album included the songs "Youngblood",  "Way to Be"  and "Dirt"  and the follow-up single "Picture of You". Although the band did not have a recording contract and they distributed their music independently, they reached No.30 on the Official UK Album Downloads Chart  and No.11 on the Official UK Independent Album Charts for week ending 25 December 2010,  and No.1 on the Official UK Independent Album Breakers Charts for week ending 25 December 2010. Following Cardle's success on The X Factor, the band saw an upsurge in popularity, with their music videos gaining large numbers of views on YouTube. 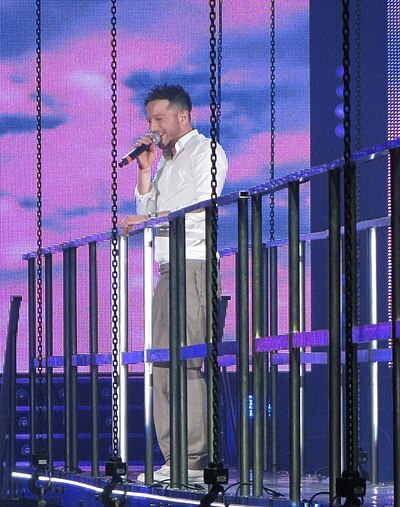 Cardle performing on the X Factor tour. In 2010, Cardle auditioned for the seventh series of The X Factor in front of Simon Cowell, Cheryl Cole and Louis Walsh, singing Amy Winehouse's "You Know I'm No Good". At the Bootcamp stage of the show he sang "The First Time Ever I Saw Your Face", a performance which prompted Simon Cowell to say "Why haven't we noticed him before?" and Louis Walsh to say "He's the biggest surprise of today for me!" He was moved to the boys category when the age limit was raised to 28, making Dannii Minogue his mentor. Cardle was favourite to win from before the live shows until the end of the series, with some of the shortest odds the show had ever seen. On the first live show he sang "When Love Takes Over" which received high praise from all four judges. In week 5 he performed "The First Time Ever I Saw Your Face" again, which earned him the first standing ovation from all four judges of the series. It remains his most viewed performance on YouTube with over 29 million views to date. The week before the semi-final he had to withdraw from a secret X Factor gig in London due to throat problems which saw him almost have to miss the show that weekend. In the final he performed a duet with Rihanna. Cardle performing at Hammersmith Apollo, March 2012. On 9 September 2012, So What Recordings, part of the Silva Screen Music Group, announced that Cardle's second album, The Fire would be released on 29 October 2012 on their label. On 11 September 2012, the lead single, "It's Only Love" was released online on Cardle's YouTube channel as an audio only video. The video for the song was premiered on 3 October. Even though the song was promoted as being the lead single, it was not released as a standalone product and was only made available to buy at the same time as the album, and therefore it did not enter the singles chart. The Fire debuted at number 8 in the UK album chart, giving Cardle his second top 10 album. He said the album is more like what he did before The X Factor than Letters, and feels more honest. "I’m getting closer to myself, and getting back to what I do and what I’ve always done." A second single, "Anyone Else" was released on 31 December 2012. On 10 December 2012 an Unplugged tour was announced on Cardle's website. Tickets went on general sale on 12 December with some dates selling out on the first day. The tour ran through April and May 2013 over the UK and Ireland. On 20 June 2014, Cardle performed a free gig at the Portadown's Got Talent awards, hosted in the People's Park of Portadown, Northern Ireland. The event is part of the Peace Process in Northern Ireland and is supported and backed by the EU. On 11 May 2015 it was announced Cardle would take over the lead role of Huey Calhoun in Memphis the musical from 6 July 2015 until the end of its run in October. It was his first acting role. On 6 November 2017 it was announced he had signed a new deal with Sony, with his fourth album, Time to Be Alive , due for release on 27 April 2018. The lead single "Desire" was premiered on BBC Radio 2 on 13 March 2018. Cardle performing in Belfast, 2012. Gary Barlow is an English singer, songwriter and musician. He is best known as the lead singer of the British pop group Take That. David Sneddon is a Scottish singer, songwriter, musician and music producer of contemporary pop music. He took an unusual route into the music business via performing on stage and television and singing lead roles in stage musicals in Glasgow. He went on in 2002 to win the first series of the BBC's music competition Fame Academy. He released his first single "Stop Living the Lie" in 2003 which was a number one hit single selling over 250,000 copies, making it the 12th highest selling single of 2003. Sneddon's debut album Seven Years – Ten Weeks released in April 2003, reached No.5 in the UK Albums Chart. He achieved three more UK Singles Chart singles – "Don't Let Go", "Best of Order" and "Baby Get Higher". His song "Baby Get Higher" was a hit on the dance floor for Almighty Records and a chart hit for VanVelzen in 2006, and also for Emin Agalarov. Andrew Abraham is a British singer. He was the runner-up in the second UK series of TV talent show The X Factor in 2005 to Shayne Ward, and also represented the United Kingdom in the Eurovision Song Contest 2008. JLS were an English pop/R&B group, which consisted of members Aston Merrygold, Oritsé Williams, Marvin Humes, and JB Gill, originally formed by Williams. They initially signed to Tracklacers production company New Track City and then went on to become runners-up of the fifth series of the ITV reality talent show The X Factor in 2008, coming second to Alexandra Burke. Following their appearance on The X Factor, JLS signed to Epic Records. Their first two singles "Beat Again" and "Everybody in Love" both went to number one on the UK Singles Chart. The X Factor is a British television singing talent show. It has been broadcast annually since 2004. The winners and finalists of the show have seen varied levels of success, but have gone on to produce a total of 42 number ones and 58 UK chart hits. Sales figures show that artists from the show have sold around 30 million singles and over 18 million albums. One Direction have sold more than 65 million records worldwide, making them the most successful act to have ever appeared on any country's version of The X Factor and one of the best-selling boy bands of all time. Joseph McElderry is an English singer and songwriter. He won the sixth series of the ITV show The X Factor in 2009. His first single "The Climb" reached number one on both the UK Singles Chart and the Irish Singles Charts. He was also crowned the winner of the second series of Popstar to Operastar in 2011 and the first series of The Jump in 2014. In 2015, McElderry played the lead role of Joseph in the touring production of the Andrew Lloyd Webber and Tim Rice musical Joseph and the Amazing Technicolour Dreamcoat. "Many of Horror" is an alternative rock song written by Simon Neil of Scottish band Biffy Clyro for their fifth studio album Only Revolutions. The song was released as the fourth single from the album on 18 January 2010. The song was recorded at Ocean Way Recording, Hollywood, California and mastered at Masterdisk. The lyrics of the song concern Neil's wife and family. Jacknife Lee, who previously remixed "Silhouettes" for the Biffy Clyro and Sucioperro side project Marmaduke Duke, recorded a remix for the song. Seven Summers was a British alternative and indie rock band from Essex. 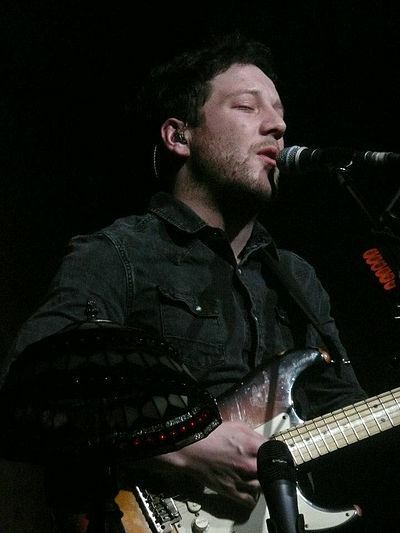 The band originally featured Matt Cardle as the lead singer and acoustic guitar player. Cardle later on became the winner of the seventh series of The X Factor. Cardle joined the band after leaving his earlier band called Darwyn. The other Seven Summers band members are Alex Baker, Jon Holland (bass) and Neillo (guitars). "Starlight" is a song by British singer-songwriter Matt Cardle. It was written by Matt Cardle, Ash Howes, Richard Stannard and Seton Daunt. It was released in the UK as the second single from his debut studio album, Letters on 4 December 2011. The Fire is the second studio album released by English musician Matt Cardle. The album was released on 26 October 2012, via SO What? Recordings, a subsidiary of Silva Screen Records, alongside the lead single, "It's Only Love". The Fire was primarily written by Cardle, but also writing credits from by Eg White, Jack McManus, Jamie Hartman, James Walsh and others. The album produced a second single, "Anyone Else", released on 31 December 2012. Cardle also made a video for the song "Lately", although not released as a single. James Andrew Arthur is an English singer and songwriter. 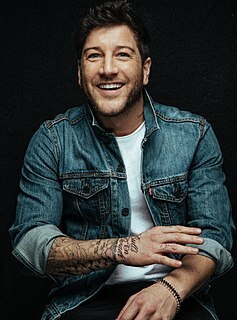 The discography of the English singer and songwriter Matt Cardle consists of four studio albums, one live album, thirteen singles and ten music videos. Porcelain is the third studio album released by English musician Matt Cardle. The album was released on 25 October 2013 in Ireland, and on 28 October in the United Kingdom. Recording locations include London, Los Angeles and New York. It is primarily written by Cardle but, as with his previous albums, he worked with various songwriters, including Conner Reeves and American R&B artist Brian McKnight. Cardle has also produced the album and played the majority of the instruments. KLOQ is an electronic rock band that was formed in Chelmsford, Essex in 2005 by Oz Morsley of Empirion. The current lineup is Dean Goodwin (Vocals), Oz Morsley, Tim Jackson (Bass), and Chris Jacobs (Drums). Kloq has released two studio albums: Move Forward (2008) and Begin Again (2013). 1 2 3 4 5 Cardle, Matt (2010). Matt Cardle: My Story. Harper. ISBN 978-0-00-742670-6. ↑ "X Factor winner Matt Cardle hailed by his Essex family". BBC News. 13 December 2010. Retrieved 13 December 2010. ↑ "When We Collide: Matt Cardle: Amazon.co.uk". Amazon.com, Inc. Retrieved 20 December 2010. ↑ "Matt Cardle - Live Booking Agent". Industrymusicgroup.co.uk. Archived from the original on 27 November 2012. Retrieved 19 December 2012. ↑ "Darwyn - Rock / Acoustic / Pop Band". Unsigned.com. Retrieved 19 December 2012. 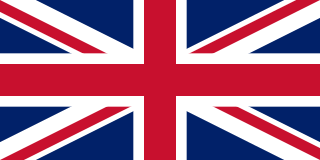 ↑ UK. "Darwyn MySpace website". Myspace.com. Retrieved 19 December 2012. ↑ Thompson, Nick (15 October 2010). "X-Factor star Matt Cardle had his singing voice saved five years ago". Dunmow Broadcast Recorder. Retrieved 1 April 2011. ↑ Nina Morgan (8 October 2010). "I'd love to gig with X Factor favourite Matt Cardle again". Daily Gazette. ↑ Video of Matt Cardle and Ali McMillan performing covers. ↑ "X Factor's Matt Cardle's ex band Seven Summers climb charts". Metro.co.uk. 14 October 2010. Retrieved 13 December 2010. ↑ "Interview and performance by Seven Summers on Sue Merchant radio show on 8 December 2009". Youtube.com. 26 September 2010. Retrieved 19 December 2012. ↑ "X Factor: Check out Matt Cardle's band Seven Summers". Unreality Shout. 26 September 2010. Archived from the original on 29 September 2010. Retrieved 4 October 2010. ↑ "Archive Chart". Theofficialcharts.com. Retrieved 25 December 2010. ↑ "Official UK Independent Album Charts". The Official Charts Company . Retrieved 21 December 2010. ↑ "Official UK Independent Album Breakers Charts". The Official Charts Company . Retrieved 21 December 2010. ↑ "X Factor favourite taking show in his stride". Halstead Gazette. 1 October 2010. ↑ Horsley, Jon (13 December 2010). "X Factor voting results revealed". Yahoo! Entertainment. Retrieved 13 December 2010. ↑ "Rihanna crowned queen of the charts". Belfast Telegraph. Independent News and Media (Northern Ireland). 9 January 2011. Archived from the original on 20 July 2012. Retrieved 14 February 2011. ↑ "Essex: Matt Cardle and Olly Murs in Brit Award battle". East Anglian Daily Times. Archant Regional. 14 January 2011. Archived from the original on 17 January 2011. Retrieved 14 February 2011. ↑ "Official Charts Analysis: Gary Barlow tops Album and Singles lists". Music Week. 11 June 2012. Retrieved 19 December 2012. ↑ "Matt Cardle - Spin 103.8 - 31.7.13". 31 July 2013. ↑ Julia (24 July 2012). "Move over Harry Styles and Nick Grimshaw, Matt Cardle and Aiden Grimshaw are back! | the juice - Yahoo! omg! UK". Uk.omg.yahoo.com. Archived from the original on 18 September 2012. Retrieved 19 December 2012. ↑ Ingham, James (14 October 2012). "Simply The Best 7 Days A Week :: Rehab :: Matt Cardle reveals Dannii Minogue support". Daily Star. Retrieved 19 December 2012. ↑ "Si Cardles up to Columbia". London: The Sun . 15 March 2011. Retrieved 15 March 2011. ↑ "Matt Cardle: 'Run For Your Life' - Single review - X Factor Singles Review - Music". Digital Spy. 22 September 2011. Retrieved 8 October 2011. ↑ "Oh No They Didn't! - Matt Cardle announces new single + album + UK tour". Ohnotheydidnt.livejournal.com. 11 September 2012. Retrieved 19 December 2012. ↑ "Radio 1 - Chart - The Official UK Top 40 Singles Chart". BBC. Retrieved 19 December 2012. ↑ Corner, Lewis (25 November 2011). "Matt Cardle: 'Starlight' - Single review - Music Singles Review". Digital Spy. Retrieved 4 January 2013. ↑ "Matt Cardle's 'Starlight' video: That's more like it…". Trash Lounge. Retrieved 19 December 2012. ↑ "Starlight". PopLedge. Archived from the original on 29 October 2013. Retrieved 19 December 2012. ↑ "Twitter / matt_cardle_uk: @Michelle_Cardle my favourite". Twitter.com. Retrieved 19 December 2012. ↑ "X Factor 2010 winner Matt Cardle: Goodbye Columbia Records, it's time to move on - now". Nowmagazine.co.uk. Retrieved 19 December 2012. ↑ Corner, Lewis (3 October 2012). "Matt Cardle: 'I left Sony because I wasn't a priority'". Digital Spy. Retrieved 4 January 2013. ↑ "Matt Cardle - BBC Three Counties Radio - 23.10.13". 8736loll. 24 October 2013. ↑ "Matt Cardle: 'My new album is more honest'". The Linc. 3 October 2012. Retrieved 19 December 2012. ↑ "Matt Cardle – 'Unplugged' Tour". Matt Cardle Music. 10 December 2012. Archived from the original on 6 October 2013. Retrieved 19 December 2012. ↑ "Matt Cardle: Unplugged SOLD OUT". Oran Mor. Archived from the original on 18 March 2013. Retrieved 19 December 2012. ↑ "Thank you!". 16 April 2013. Retrieved 9 September 2013. ↑ "About". Matt Cardle Music. Archived from the original on 16 September 2013. Retrieved 8 September 2013. ↑ "Worldwide publishing deal with BMG Chrysalis". 8 October 2013. Twitter. Retrieved 23 October 2013. ↑ "MATT CARDLE: The FULL Mercury interview (From Bridgwater Mercury)". Bridgwatermercury.co.uk. 2014-02-25. Retrieved 2014-06-21. ↑ "The Cast Of Miss World 2013". 22 August 2013. Miss World Official Website. Archived from the original on 28 September 2013. Retrieved 12 October 2013. ↑ "THE PORCELAIN TOUR 2014". 30 October 2013. Archived from the original on 1 November 2013. ↑ "Matt Cardle to take on the West End as new Memphis lead". 11 May 2015. ↑ "Matt Cardle - Good Morning Britain - 29.8.14". 29 August 2014. ↑ "MATT CARDLE ANNOUNCES INTIMATE UK TOUR DATES". 8 March 2016. ↑ Gordon, Naomi. "Matt Cardle is taking his time with his new album: 'I was on a manufacturing line after X Factor'". Digital Spy. Retrieved 20 October 2016. ↑ "Matt Cardle - Radio Manchester 20.3.15". 20 March 2015. ↑ "HE'S MATT IT AGAIN X Factor winner Matt Cardle to release new album with Sony five years after he was dropped by Simon Cowell". 06 November 2017. ↑ "MATT CARDLE TO JOIN STRICTLY BALLROOM". 06 July 2018. ↑ "Matt Cardle Live Vocal Range: B2-F5". YouTube. Retrieved 19 December 2012. 1 2 Duerden, Nick (9 October 2011). "Exclusive: X Factor winner Matt Cardle gives his first major interview". The Independent. London. ↑ "X-Factor star Matt Cardle had his singing voice saved five years ago - Home". Dunmow Broadcast. Retrieved 19 December 2012. ↑ "Matt Cardle sings Just The Way You Are - The X Factor Live show 2 (Full Version)". YouTube. Retrieved 19 December 2012. ↑ "iTunes - Music - Matt Cardle". Itunes.apple.com. 15 April 1983. Retrieved 19 December 2012. ↑ "X Factor 2010: Cheryl Cole says Matt Cardle had a bad week with Bleeding Love (VIDEO)". Unreality TV. 30 October 2010. Retrieved 19 December 2012. ↑ "Matt and Marlon - The X Factor Final 12 Revealed (Full Version)". YouTube. Retrieved 19 December 2012. ↑ "This week's album reviews". Irish Independent. ↑ "Matt Cardle: Amelia Lily has got what it takes to win X Factor". Metro. 22 November 2011. Retrieved 29 August 2013. ↑ Smart, Gordon (18 August 2011). "Matt Cardle debut tunes totally rock". London: The Sun . Retrieved 20 August 2011. ↑ "Ed Sheeran settles £16 million lawsuit after claims his track Photograph 'exploited' Matt Cardle's song Amazing". The Sun. 11 April 2017. Retrieved 18 June 2018. ↑ Roche, Elisa (14 December 2010). "Now X factor's Matt Cardle will top book charts". The Daily Express. Retrieved 14 December 2010. Wikimedia Commons has media related to Matt Cardle . "When You Were My Girl"